Whether storing your RV for winter or putting it away for just a month, there are certain steps that enable you to protect the investment you have made into this second home on wheels. Although we do not have severe variations in weather here in California, an RV in storage does have to withstand certain elements. Even when keeping your RV in one of our indoor storage units, a good cleaning is the beginning of stress-free safekeeping in California. Every RV loves a good bath, but this task can take a bit of time to complete properly. Reserving at least a half a day to the preservation of your RV goes a long way to protecting it, as does storing it in the safest location. Cleaning an RV can start either on the inside or the outside, but must include both areas to maintain form and function. Beginning outside, all wheel wells, tires (both inward and outward facing surfaces), awnings, and windows need a rubdown. Once thoroughly brushed and rinsed, every surface needs to be adequately dried. Even under a tarp in an outdoor storage space, moisture left after washing has the potential create mildew on your RV after a few months. While drying the RV, this is a good time to check all seals around windows, doors, and other areas. Should a seal seem lose, caulk it. In fact, check all areas of the RV where cracks, rust, tears, or any type of corrosion can occur, and fix all issues. Even problems that seem minute should be fixed. Tires should be considered too, since they are an integral part of safe travel. When an RV is not in use, there is the potential for flat spots and weather checking to develop. Consider placing a few jacks to alleviate pressure on tires, as well as light-colored tire covers to keep these parts out of the direct sunlight and other elements. Should you choose to keep your RV in our secured outdoor area, the tarp you place over your vehicle should allow air to flow through it. These breathable tarps decrease the likelihood that moisture can cause any damage, such as rust or mold. In the RV's interior, a few containers of Damp Rid or silica gel will keep moisture from building up and turning into a real mold problem. Mice could also pose a problem for a stored RV. Inspecting every exterior area of the RV, and blocking even small openings, the size of your finger, with aluminum or brass wool, will adequately and safely block openings and keep pests like rodents and snakes from finding their way into your home away from home. Keeping your RV in tip-top shape does take time and consideration, but these extra steps allow you to gain years of enjoyment from it. 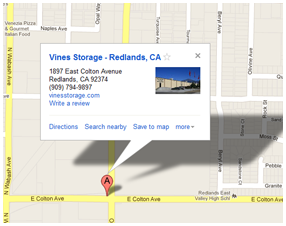 Contact us to view our RV storage areas.